StuckForStaff has helped me so much, I no longer have to call lots of agencies to let them know my free dates, I simply update my availability on here! It has made my life so much simpler..thank you!" We were struggling to fill gaps the day before a very big job for us as a company; in fact, it was the largest job we had ever done. 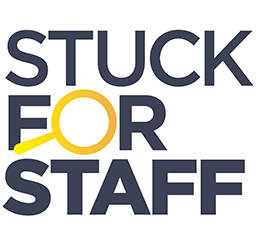 The response we got from the StuckForStaff job alert was phenomenal - what a ... read more.